Social Work with Older People provides an authoritative and practical guide to working with older people in a range of settings. It addresses the complexities of individual work with older people, as well as work with families, groups and the wider community, and is not afraid to tackle the challenges as well as opportunities of practice in this area. The book begins by explaining the demographic changes that have led to a ‘greying’ of the general population. It goes on to discuss the diversity in experiences of ageing across society, and the range of issues which confront older people and those who wish to work proactively with them. Clear attention is paid to the processes of assessment, care planning and review, with readers encouraged to reflect on developing good practice through case studies and exercises. Although it has a strong practical emphasis, the book also stresses the value of theoretical perspectives, with insights from fields such as sociology and psychology woven throughout the book. Clear links are also made to policy guidelines and organizational standards, without losing sight of the deeper, often more complex, issues that arise when working with older people. Social Work with Older People will be essential reading for social work students and practitioners, but also for others who are interested in the development of practice with older people as citizens and service users. Chapter 1: The Demographic and Theoretical Framework. Chapter 2: The History of Service Development for Older People. 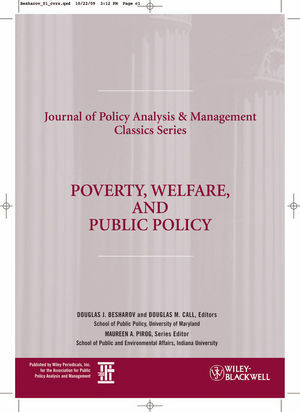 Chapter 3: Functions of Social Work. Chapter 4: Assessment in Social Work. Chapter 6: Monitoring and Review. Chapter 7: Working with Individuals. Chapter 8: Working with Families and Groups. Chapter 9: Working with Communities. "A logical and informative guide…This book will assist anyone wishing to begin, or those who already have experience of, supporting older people." 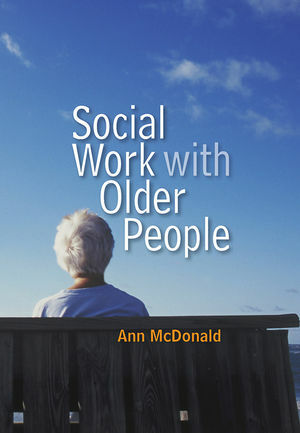 "Designed as a guide to social work practice with older people in various settings, the book has a strong practical emphasis but also examines theoretical perspectives, with insights from sociology and psychology integrated throughout. It also discusses policy guidelines and organizational standards." "This is a convincing and well-written text exploring complex ideas in a coherent and logical way, without simplification. The use of case studies and the linking of theory to research at every stage provides valuable contexts for the application of diverse ideas and constructs. I would certainly use this book as a key text in the study of social work with older adults, and it is a welcome addition to the development of theoretical understanding more broadly." "This book provides a comprehensive and thorough coverage of the topic. The emphasis on human rights provides a useful and necessary framework on which all practice and interventions with older people should be based. The summaries, key lessons and further reading will be invaluable to students and practitioners alike." "Eminently accessible in terms of structure, style and content, the book addresses core areas, such as assessment and care planning, but also engages in more original discussion of work with older people within family and community contexts. Above all, it conveys the important message that social work with older people is a highly skilled, challenging and rewarding area of practice." This is the second book in the Social Work in Theory and Practice series that began with Roger Smith’s ‘Social Work with Young People’ in Sept 08. Stands out from the competition with its focus on the subjective, lived experience of older people and their carers, and how to work with them proactively in the context of human rights and citizenship. Covers work with older people (and their carers) at the individual level, with families and groups, and within the larger community. The author has experience of writing for students and practitioners alike. This fills a distinct gap in the social work student book market: it is aimed at and accessible to students but with a level of sophistication lacking in other very basic books published by Learning Matters. Student-friendly features include: chapter summaries, key lessons, boxed case studies and questions to provoke thought.